On Monday, the Southern District of New York (SDNY) charged lawyer Michael Avenatti with trying to extort over $20 million from Nike. Fresh from jail, the fame hungry took to Twitter to proclaim his innocence and continue his attacks on Nike. Background: At 12:16PM ET on Monday, Avenatti tweeted out about a press conference on Tuesday where he planned to expose a scandal that involved Nike. Avenatti’s co-conspirator is celebrity lawyer Mark Gergos. Authorities have not charged or arrested him. Avenatti went to court Monday morning. They released him after he posted $300,000 bond. This morning, he went on a tweetstorm and named Phoenix Suns rookie Deandre Ayton and University of Oregon player Bol Bol as those paid by Nike. I don’t know why he tweeted out that article, but I guess he did it to back up his claims about Nike. Nike kneeled as a character witness for public relations. 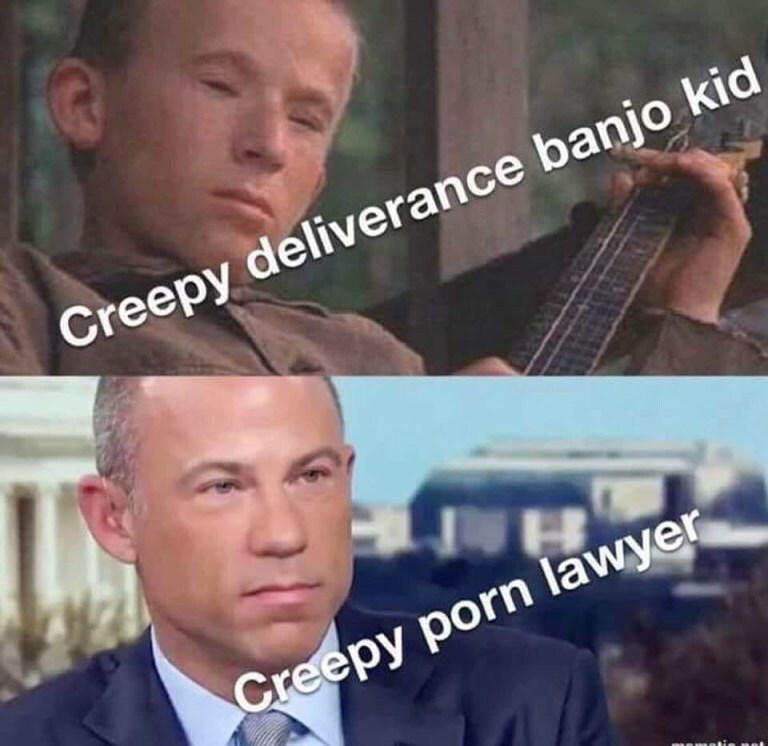 Avenatti was politically congruent until he became a liability. Innocent until proven guilty, I suppose. In this case I hop both the π and ∆ lose. Is it mere coincidence that the charges came after the Mueller report? And, completely clueless, he spelled it all out in complete detail, with the agents listening. He has also been accused of cheating his client out of a settlement, and forging tax returns to obtain a bank loan. Unlike this Nike thing, which conceivably is going to depend on how one interprets the extortion statute, Avenetti either did or did not do those things. And if he did either of them–especially if he cheated his client out of the settlement he obtained for him/her–he is going to be disbarred. There’s a report out today that says that some of his own employees had become personally afraid of him, and because of that they contacted the FBI and for perhaps as long as a year now, they’ve been secretly forwarding all of his financial records to the FBI team in Los Angeles. (the misuse of funds case). This didn’t just drop out of the blue, they’ve been building this case for a long time, and it looks to me like they have got him nailed. They don’t need to subpoena any of his records, if these reports are correct they’ve already got copies of everything. That’s the downside of having everyone hate you, including your own staff. Birds of a feather. Lawyers set up the whole system then adroity exploit and hack their own handiwork. Now that is a T-shirt that I’d pay retail to own. would fit on the back. Gamble big, win big – or get squashed like a bug. Michael should have taken Jesse Jackson to dinner someplace nice and asked for some professional pointers from the past master of the litigation shakedown business. Michael should have offered, for a hefty price, to set up a consulting and training program for Nike so that their settlement could not be “misinterpreted” as extortion. After the money changed hands he would fail to perform and leave Nike to go after him. It would be poetic justice if both Nike and Avenetti were convicted of what they are accused of. Still long shovels and popcorn. Avenatti thinks everyone is as corrupt as him. Rumor has it he busted into a party to which is was not invited. Nike was already working with DOJ and FBI. He’s on tape offering to coverup a crime for money. His tune will soon change. Why does anybody care what this guys says? Why is it “news”? It’s certainly going to be delicious watching frauds like Avenatti go to jail. As Avenatti keeps spewing his take on Nike, it makes the case easier for the prosecutors. He thought Nike would roll over (Heck, they are the company of Kapernick). He thought wrong. Remember, Pigs get fed, Hogs get slaughtered. Should have asked for 6 figures. He might have gotten it. 8 figures is a bit of a stretch. Maybe Avenatti was hoping for a new pair of Air Avenatti’s ?